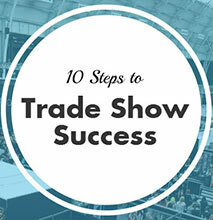 If you’re planning on exhibiting at a trade show, you have come to the right place. 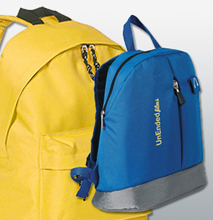 From School bags to Laptop rucksacks, there is something for everyone within our extensive range. A huge selection of bags, from shoppers to cooler bags, all made from non-woven polypropylene; a hard wearing, low cost choice of material. Bags of Ideas are a UK supplier of printed promotional bags and accessories (such as branded notebooks, luggage straps and travel wallets) to end users for marketing purposes, such as events, festivals and charity campaigns. We focus purely on the bags side of the promotional market, which is the most popular, in demand promotional product based on sales revenue in the UK, and is no doubt one of the most effective promotional products to utilise. We understand trawling through promotional product websites is not always easy; the vast number of products, and website navigation can make it hard to find the product you require – a needle in a haystack springs to mind. At Bags of Ideas we have created a one stop shop for purchasing and marketing teams for their promotional bags; we have built an easy to use, graphic driven website, with a great product range, big images and clear cut pricing to make the job of any marketer that bit easier. And as we focus purely on promotional bags and accessories, our highly trained staff can offer you the best possible service and advise when it comes to your promotional carriers; we live-and-breath bags so you don’t have to. We are sure we can find everyone a bag they need within budget. We have access to a vast range of off the shelf, stocked bags; from cotton shopping bags, totes and jute carriers, to rucksacks, bum bags and non-woven shoulder bags. Whether you are looking for a fair trade bag or a bag at a fair price, we have you covered. On top of that, we are always expanding our range, adding new products to the mix, keeping our offering on trend. Our promotional waterproof bags and anti-theft sections highlight some of the new popular bags on the market. . However, it doesn’t end there; if you don’t think what you want from a bag is available, or you cant find a bag with all the features you requires, then we can create something completely unique; your own custom bag with all the features you require, at the size you want and in the colour that reflects your brand the best. With bespoke bag manufacturing the possibilities are endless. If you struggle to navigate around our site, we have installed a live chat function – available from 9-5, Monday to Friday (UK time), where you will be able to speak directly with one of our members of staff, who can assist you with all things, and help you find that perfect promotional tote. On top of our world class customer service, stock availability, printing options and bespoke bag services, we also will not be beaten on price; we strive to be the best in all aspects of our business, without compromise. Therefore we offer a price match service on all like for like quotations. Simply send us the offer, and whenever we can, we will beat it. For more information on us as a business, visit out about us page, where we go further into detail. You can also check out our certifications page, where you can see achievements we as a company have made. Peace of mind We have 40 years' industry experience and customer service you can depend on. You are in safe hands. 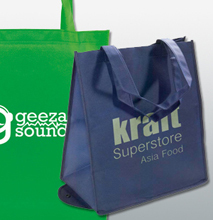 Huge choice Our range of promo bags is extensive, and is always growing – we are sure we can find a bag right for you! Price Promise You can be safe in the knowledge that you are getting great value for money – if you find the same product cheaper, let us know, and we will do our best to beat it! Short lead times If you have a tight deadline, let us know – we will find and personalise a bag that's right for you that can be delivered on time. Expert advice We're called Bags of Ideas for a reason. 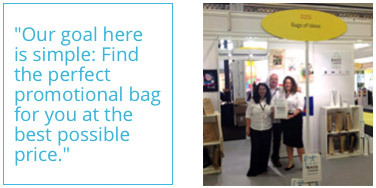 Not sure what bag is best for your promotion or exhibition? Get in touch. One of our expert team will be able to help.